The other day I was reading a book that mentioned sage and one of its multiple uses. I have always used it on pasta and butternut squash soup but never explored other uses. Have you? Well, maybe it's time to see what this versatile herb can do. 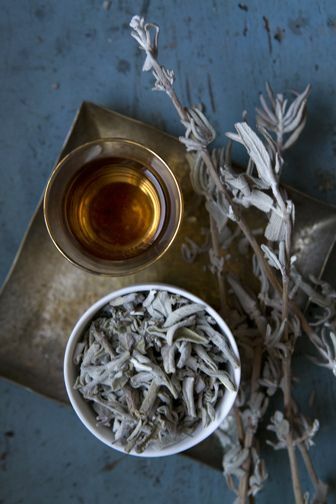 Along with rosemary, parsley and thyme, sage has been a herb of choice to distill into essential oil. This staple of Italian cooking has a savory flavor with a distinct aroma and a green-silvery color widely used in interior design. Sage has many health benefits that include anti-oxidant thanks to its many oils, works as an anti-inflammatory, anti-fungal, astringent, and boosts brain function... or course, all of these are triggered when you add sage to your past, soup, omelets, pizza, roasted chicken, tea or your favorite turkey stuffing in Thanksgiving. One of the most interesting things I found out about sage is that it is used in cleaning spaces of bad energy. 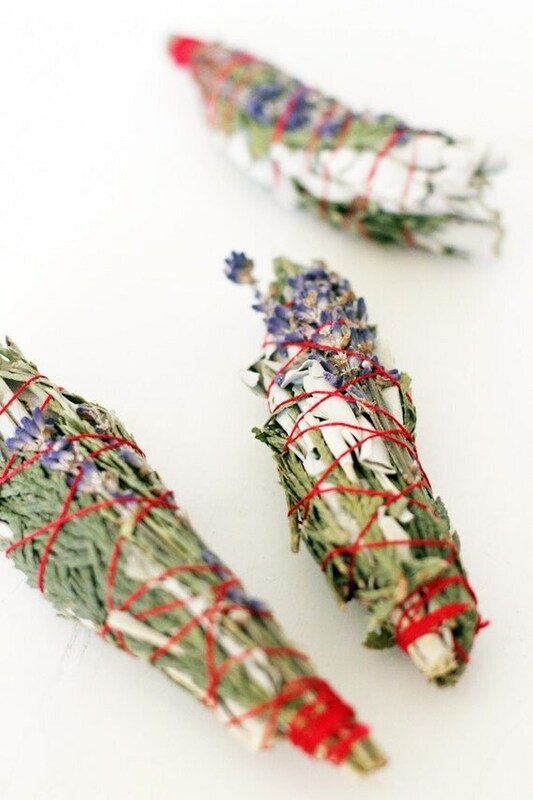 It is mostly used with smudge sticks, where the smoke from the burning the herbs will attach to the bad energy and float away. I saw this ritual for the first time when a friend who had just moved to LA cleansed the apartment where she had just moved in... the house smell great and in my opinion, the environment felt more relaxed. Finally, I've seen it used in boutonnieres and bridal bouquets, because they symbolize long life and wisdom. I don't know you but I think whichever way you use it, sage is a great idea! My mother had a sage bundle on her coffee table when I visited last weekend–I hadn't seen one in ages, but when she moved into her new house, she figured she should do everything to make it hospitable! I have only used sage once along with thyme and rosemary to stuff a turkey and their combination is just delicious! Will try a bundle and use it more. I didn't know that was why they were used in bridal bouquets - good to know! I have really embraced using herbs in the last couple years but sage is one that I haven't really used very often. I love sage and grow it along with rosemary, lavender and mint in my backyard--it smells divine in pasta :) Hope you are having a wonderful early weekend! heading to istanbul, turkey this week! have you been? Beautiful post. I love this.